INFO: Silhouettes of Abuse is a collection of real stories. They shouldn't be real, but they are. 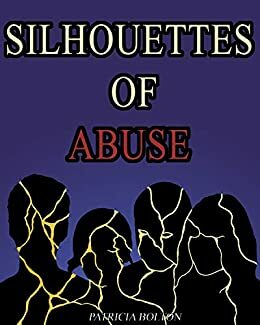 Every minute of every day, dozens of people are abused by members of their families or intimate partners in the US alone. The victims are your neighbours, your friends, members of your family, maybe even you. You are not alone and there is help for you. I believe that some of that help could come to you by taking a martial arts class. This book will show you not only what others have survived, but also how the martial arts that I practice and teach could help victims not only to defend themselves, but also to regain a sense of control over something in your life as well as your self-confidence. This book is not an instruction manual. It is meant to raise awareness of the problem and also to open your minds to what I think traditional martial arts can do to help solve the problem of domestic violence. Patricia Bolton has been practicing martial arts for over 20 years. She currently holds the rank of 3rd dan and is certified as an instructor in the practical application of karate. Practicing primarily Matsubayashi Shorin Ryu, she also teaches Shotokan karate and has training in Kyukido. She teaches karate with an emphasis on self-protection in Wisconsin.